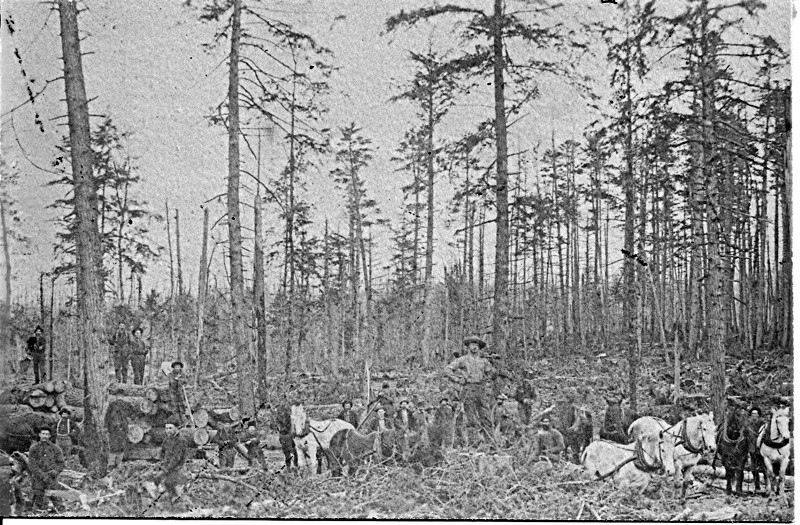 Men and horses at a timber harvesting site, c. 1880s. While the new Grand Rapids-to-Traverse City state road was opening up the western side of Wexford County to settlement in the mid-1860's, a handful of men were prowling the hills on the eastern side of the county for different reasons. Some of them were railroad surveyors; the others, land-lookers, were scouting out choice pine lands for speculative purchase. The Civil War had not restored the old Union of 1860; rather, a whole new nation had been born. Sections of the South were devastated and its agricultural lands lay to waste, but the West was ripe for opening. The North was on the verge of the great machine tool revolution that would create an industrial society and mass production economy. Small villages would be transformed into cities and cities into burgeoning urban areas. Northern Michigan was a vast reservoir of raw material for the building industry. Even before the war, Michigan's coastal cities were shipping large quantities of pine. Everyone knew that after the war, railroads would open up the state's interior. Earlier, in 1850, Congress passed the first land grant act to encourage economic development. More would quickly follow. The usual grant gave the railroad alternate sections of land, amounting to half of all the acreage, for a distance of six miles on either side of the railroad right-of-way. Many railroads were built for the money to be made from the sale of the land; not because of anticipated operating profits. The Grand Rapids and Indiana Railroad (G.R. & I.) was awarded a grant to build the railroad from Grand Rapids to the Straights of Mackinaw. The war and other factors delayed construction, but finally in 1867 the first track was laid. The originally planned route would take the railroad between Little Clam Lake (now Lake Cadillac) and Big Clam Lake (now Lake Mitchell); west of the present site of Cadillac. However, that section of the original route would soon change. 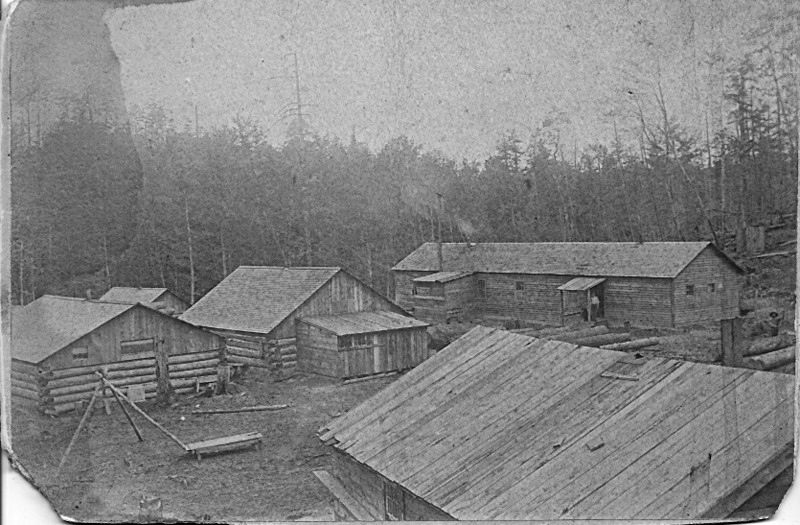 An established Cummer and Sons logging camp, c. 1890s. George A. Mitchell was the youngest son of William Mitchell from Kendallville, Indiana. William was a man of considerable influence. He was a U.S. Congressman, founded a bank in Kendallville, and fortuitously for Cadillac, a G.R. & I. investor. In the summer of 1869 George Mitchell started north from Grand Rapids to explore the proposed route of the G.R. & I.. He was particularly interested in the area surrounding Clam Lake (Cadillac). As a lumberman he soon recognized establishing a settlement at the east end of Little Clam Lake would take advantage of the prevailing westerly winds to float the logs eastward to the mills and the lake would provide a large floating storage area for the logs. The river connecting the two lakes would also open lands to the west of Big Clam Lake. George influenced the railroad to alter its route along the east end of Little Clam Lake. Soon thereafter, he was able to acquire considerable land in the area, including the site where he envisioned a new city. At the beginning of 1871, the site presently occupied by the city of Cadillac was covered by a dense pine forest. There was nothing to indicate the presence of man except occasional government survey markers and blaze marked trees. Before the summer was over, the central part of Mitchell's plat of the Village of Clam Lake (officially filed October 1871) had been cleared and decisions made as to the major lines along which the streets would run. Little Clam Lake provided the west boundary, Park Street the east boundary, and Howard Street the south boundary. George, like his father and brothers, was a visionary with a strong commitment to community. Every civic need was anticipated by Mitchell. His plat included not only business and residential lots, but public places like a city park. Every church organized during his lifetime was given a free lot. The cemetery was a gift. His plat also included a block designated for a county building; somewhat presumptuous considering the county seat was already well-established in Sherman, 20 miles away. The first supply train arrived in Clam Lake on January 8, 1872. That same year a newspaper account indicated that the village was home to 60 families, 300 people. Also, the village contained two hotels, four or five general stores, one hardware store, blacksmith shops, wagon shops, and shoe shops. Mitchell, but using a strong power of persuasion and inducements, was able to attract mill operators and other businessmen to the new community. Brothers Levi and Henry Harris built the first mill in 1872. In 1874 Jonathon W. Cobbs bought an existing mill. George Shackelton and Holden A. Green came from Manistee in 1872. Later, Jacob W. Cummer, Drs. Frazier and John Leeson, merchants Holbrook and May and others came. Even before Mitchell came to Clam Lake, in the late 1860's Delos A. Blodgett, a lumberman from Grand Rapids, had acquired considerable timber land in the area. At one time, he was the largest land owner in Osceola County. He became a business partner in Clam Lake lumber mills and in 1883 partnered with Delos F. Diggins to form a local bank. Also, George invited his nephews, William W. Mitchell and Austin W. Mitchell, to help him in his business ventures. Both, but particularly William, played a key role in building a city and moving the county seat to Cadillac. Interestingly, most of these men and their spouses shared Mitchell's spirit of community and were instrumental in the city's development. 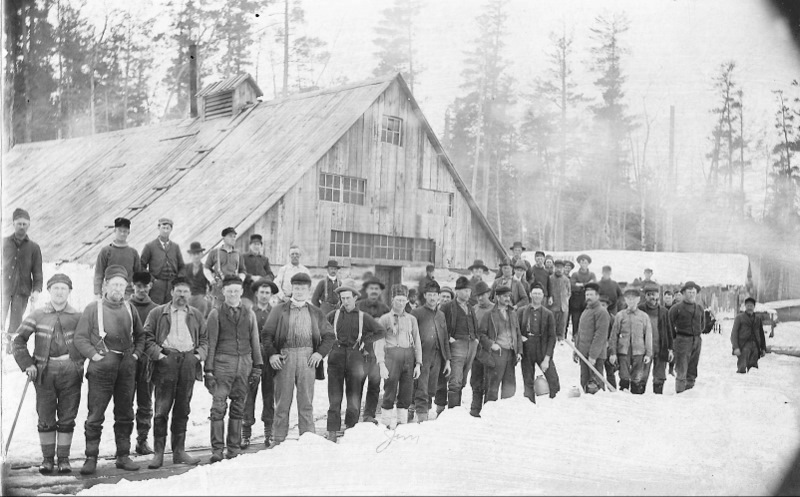 Several dozen lumbermen pose in front of the large main building at a logging camp near Cadillac, c. 1896. Cadillac became a city in 1877 and George A. Mitchell its first mayor. Unfortunately, George died from an accidental fall in 1878. But fortunately for Cadillac, he had skillfully laid the groundwork and many people who followed shared his vision to build a vibrant and industrious city. But the community didn't grow and develop overnight. It took years to even reach some semblance of comfort and convenience. The wives who arrived to join their husbands during those early years weren't greeted by tidy, tree-lined streets. Stumps were being cleared from the streets and the newly-graded streets were sand at first and then clay. They were dusty in dry weather and had to be watered down daily to at least be tolerable. When it rained they became muddy and eroded with ruts. Spring thaws made them nearly impassable. Buildings burned fast and firefighting methods were slow and cumbersome. The screeching from the saw mills was deafening and the nighttime revelry of the lumberjacks made sleeping difficult during the warm summer nights. Inside the home things weren't a lot easier. The first water system used wooden pipes and the water stunk and tasted awful. Water had to be carried by hand from hand pumps scattered throughout the town. Wooden sewer pipes carried waste from the homes and dumped it into the Clam River at the edge of the city. During the dry season each summer residents in the northeast section of the city were plagued by the horrible smell. When electricity was introduced in the mid-1880's, its use was restricted to limited times of day. Also, it was erratic and unreliable. There was no refrigeration to help preserve food. Cassler's Ice business provided ice from April to late October. Wives had to use their resourcefulness during the rest of the year. Homemakers "kept house" without vacuum cleaners or other modern conveniences. A northerly view of Mitchell Street, taken from near its intersection with Chapin Street. The Labar building on the right stood at the southeast corner of Mitchell and Cass Streets, c. 1880s. Carpenters and other craftsmen plied their trade manually and yet, contractors were able to build a home other other structure in a few short weeks and in doing so they helped build a city. And grow it did. More growth attracted more industry. More industry provided more jobs that brought in more workers and more growth. In 1891 the Cadillac Advancement Board was formed by local businessmen to attract and encourage new businesses to lcoate in Cadillac with William W. Mitchell, President; W.W. Cummer, Vice President; E.F. Sawyer, Secretary; and Delos F. Diggins, Treasurer. Success was almost immediate and the successes that followed encouraged the city and future economic development organizations to proactively pursue new industry and new jobs. These efforts and the entrepreneurial spirit and skill of local businessmen created a business community that became diverse and changed with the times. Lumbering was, of course, at the heart of the community in the 1870's and 1880's. But as the pine stands dwindled in the 1890's markets for hardwood grew. Cadillac industry responded and new businesses emerged to manufacture wood products. Several mills converted to the production of hardwood flooring that had become popular. In 1909 Cummer-Diggins Lumber Company reported record flooring sales and in 1922 Cobbs and Mitchell Lumber received an order for 800,000 feet of flooring for a new downtown Chicago building. Reportedly it was the largest floor order in the country that year. H.H. Cummer invented and produced a collapsing shipping crate that attracted considerable attention. Cummer Manufacturing shipped 11 rail cars of crates to Texas in 1909. In 1906 local investors attracted St. Johns Table Company to Cadillac and Fred A. Diggins built them a new building the following year. The company became a nationally-known, premiere furniture manufacturer that at one time employed over 500 people. It operated in Cadillac for nearly 70 years. By 1909 Cadillac boasted 32 industries in its 38 year history and in the two decades that followed, the Cadillac Evening News reported 39 new or significantly expanded manufacturing businesses. Cadillac wood products manufacturers had become internationally-known as leaders in their industry. The best hardwood lumber throughout the state was sent to Cadillac for manufacture. In 1905 Cadillac was headquarters for the International Hardwood Manufacturers Association. By the late 1920's, hardwood timber in the area had become depleted and in 1927 it was reported that local furniture factories obtained most of their raw materials from outside the area. March 29, 1934 marked the "official ending of the lumbering era in Wexford County." The last tree was cut from the last stand of hardwood in Antioch Township. It closed a 70-year period of continuous cutting of lumber in the region. In 1940 the last vestiges of the great lumbering era disappeared from Cadillac when the former Cummer-Diggins mill was destroyed by fire and the Cobbs and Mitchell mill was razed. Materials from the Cobbs and Mitchell building were recycled and used to construct the building for a new business, Wood Parts Company. 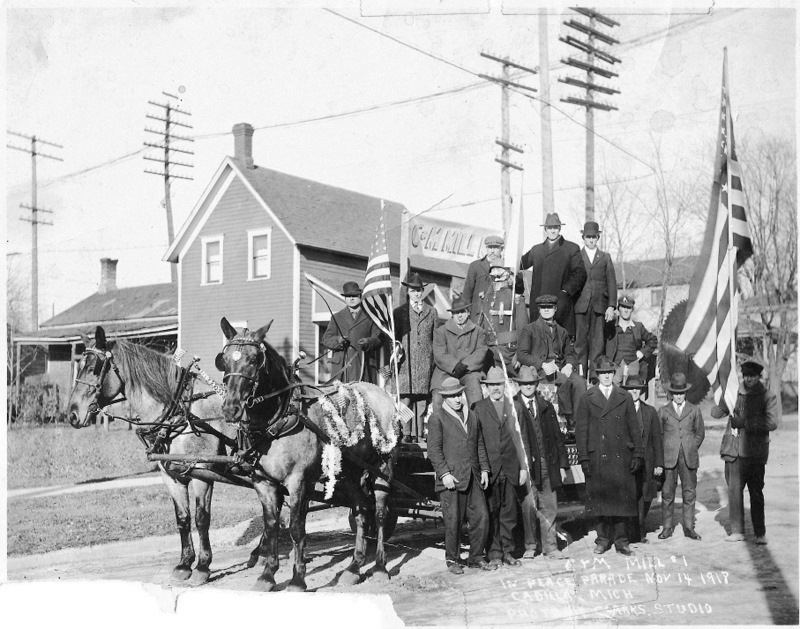 Cobbs and Mitchell Lumber Mill employees prepare for a November 14, 1918 peace parade celebrating America's victory and the end of World War I. But before the lumbering industry had faded it had spawned new industries in metalworking, fabrication, and machining. Metal fabrication played an important part in building and maintaining equipment needed to cut and haul timber and manufacture lumber and wood products. George Mitchell, in his 1871 deal with the Harris brothers to build a mill on the shores of Little Clam Lake, included a lot in the city for them to build their machine shop. Ephraim Shay's unique locomotive that revolutionized the lumbering industry nationwide was invented, developed, and manufactured in his machine shop on the north side of Cadillac. The number and variety of metalworking businesses sprouted and many flourished along with the lumber industry, but as it turned out they were much more adaptable to change. As the automobile emerged and the lumbering industries and railroads faded, metal fabricators converted to new products. In 1901 William McAdie's machine shop was purchased by Walter Kysor and became Cadillac Machine Company. Kysor was a talented inventor and entrepreneur. His business grew and in 1905 he moved into a new 12,000 square-foot building on W. Mason Street. In 1915 he formed the Acme Truck Company and built a new manufacturing facility on Haynes Street a year later. By 1919 Acme Truck employed 250 people and in the last quarter of 1921 they shipped 100 new trucks. They began building buses in 1925 and reported a record year in 1927. Unfortunately, they became a casualty of the Depression. However, Kysor had in the meantime bought a truck heater manufacturing business in Allegan and in 1927 moved the operation to Cadillac. Kysor Heater Company eventually became a large international company headquartered in Cadillac and today is a division of Borg-Warner, employed nearly 300 people in Cadillac. While Kysor's story is one of the more dramatic, it illustrates what occurred in several other Cadillac businesses as well. Cadillac's trained workforce, pro-business environment, and proactive business development efforts attracted new metalworking businesses as well: Helm Brick Machine Company in 1914, Kal-Ben Wheel Company in 1919, Northern Machine Company, Cadillac Iron Works, and Cadillac Metal Parts in 1920, and Cadillac Malleable Iron in 1921. Cadillac Malleable Iron still has a foundry in Cadillac and employs approximately 400 people. By 1927 the community recognized that it had gone beyond being a lumber town. The Cadillac Evening News reported, "Cadillac industry assumes more diversified aspect with addition of plants that use raw materials other than lumber." 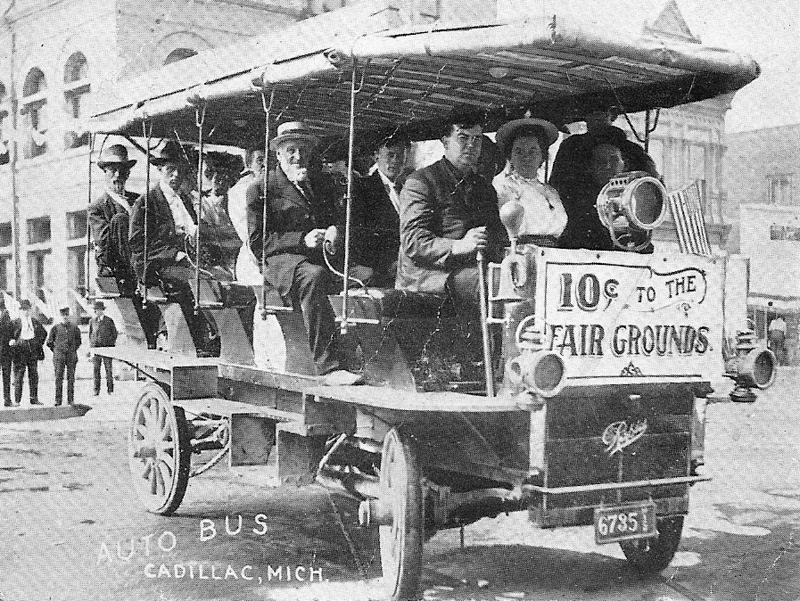 An early auto bus offering transportation from downtown Cadillac to the fairgrounds at the north end of the city, c. 1906. The health of manufacturing businesses in Cadillac was helped considerably by their diversity. In the 1890's the Cadillac Advancement Board attracted the Union Collar Company, a shirt manufacturer, to locate in Cadillac. The garment industry, although small, played an important role. In 1923 the GOshen Shirt Company was producing 1,500 shirts per day and in 1936, Bodies American Fabrics Company moved into a former Acme Truck building. LaMode Garment Company began the same year, employing 300 people. Permanit Fabrics, Inc. started operations the following year. After World War II, as demand for automobiles soared, this trained workforce operated sewing machines that produced automotive interiors, an operation that continues today. In 1937 B.F. Goodrich purchased the former Acme Truck plant and began manufacturing rubber products - an operation that would continue for about 30 years. When they closed the plant, former employees bought the equipment, hired the trained workers and went into the rubber products business, primarily automotive. Three rubber products manufacturers still operate in Cadillac and employ nearly 1,000 people. Similarly, Chris Craft bought a former Mitchell Brothers manufacturing plant in 1941 and the first pleasure boat came off the assembly line on February 25th of that year. During World War II the plant was converted to build personnel landing craft for the military and then returned to pleasure craft after the war. Their workforce became trained in the craft of boat building. Today, Four Winns Boats is headquartered in Cadillac, has five facilities here and employs about 600 people. During the early years, tourism in Cadillac was limited to accommodating rail passengers stopping over while on their journey to the resorts in Petoskey and Bayview. With the advent of the automobile, tourism began to change. 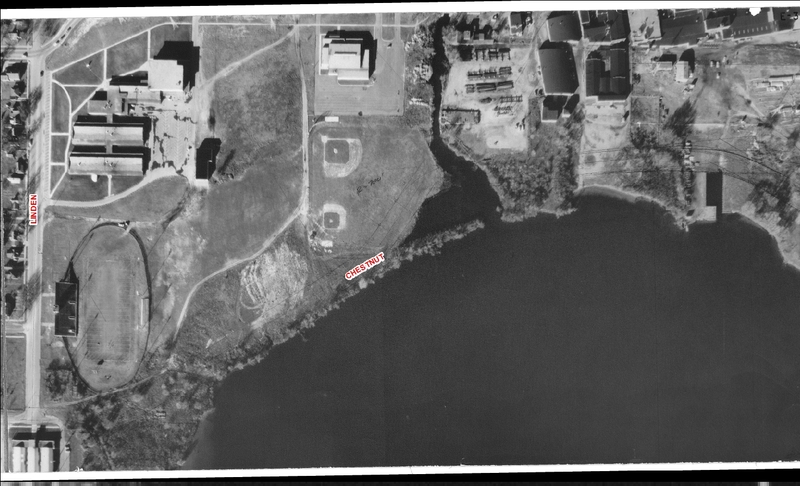 By 1916 the boulevard around Lake Cadillac was completely paved and there was a passable road around Lake Mitchell, making the lakes more accessible. A 1913 Cadillac Evening News article reported "Cadillac is near the forefront in constructing good roads and it is helping tourism." Cadillac's first "motel," The Great Way, opened in 1920 with a main building and 23 cabins. 1920 also saw the beginning of a new state park to be located between the lakes on land donated by the William W. Mitchell estate. In 1944 over 5 million people visited William W. Mitchell State Park and the State decided to keep the park open year-round to serve the growing winter tourism. In 1914 Cadillac became headquarters for the Michigan Department of Transportation, covering 24 counties; an event that likely influenced road building in the surrounding area. Like the railroads before, new road construction significantly contributed to the growth of tourism, industry, commercial trade, and the community itself. A northwesterly view of the canal between Lakes Cadillac and Mitchell. 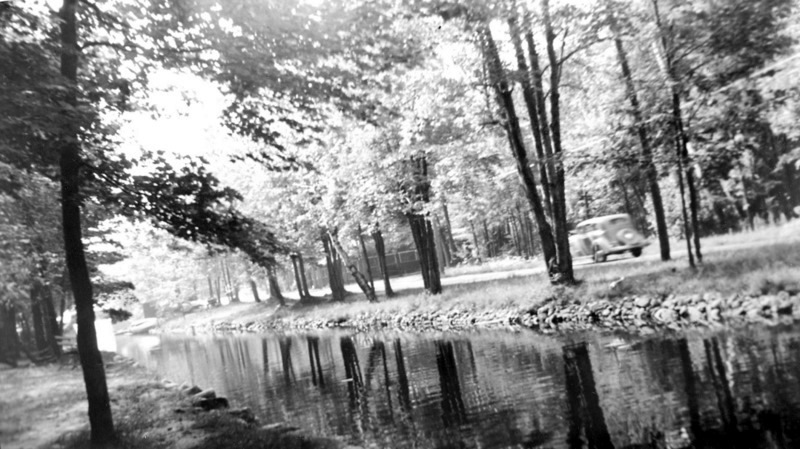 The vehicle on the other side of the canal is traveling along North Boulevard, c. 1930. The original route of the main state road, Mackinaw Trail, came to Cadillac from Grand Rapids, passed through Tustin, and then went directly north through Benson Corners west of Cadillac, and then on to Cadillac. 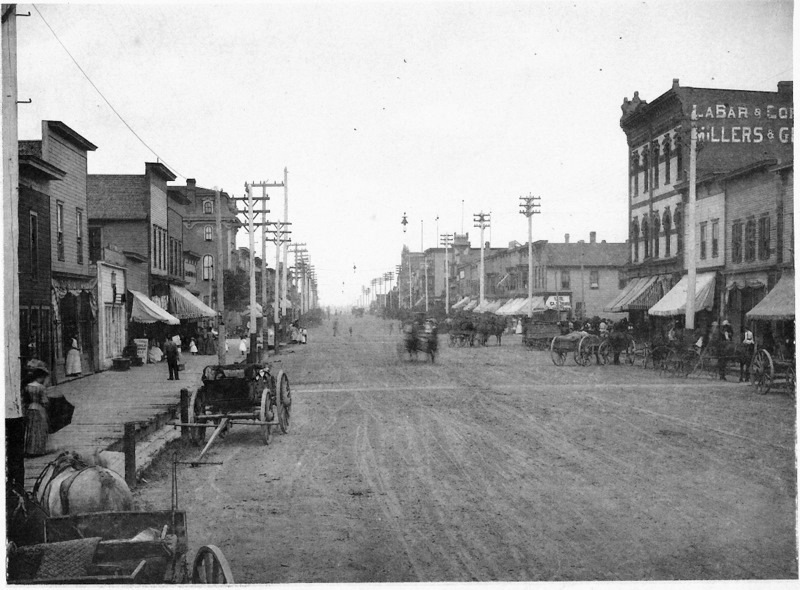 Mackinaw Trail was declared a federal highway (U.S. 131) in 1925 and the U.S. Department of Transportation demanded the route from Tustin to Cadillac be changed to a more direct connection with Mitchell Street through downtown Cadillac. Six years later survey work began on a new east-west road from Manistee to Tawas that had been proposed a decade earlier. The Manistee-to-Cadillac section opened in 1933. The following year a third road through Cadillac was proposed and in 1935 work began on what was to become M-115. Cadillac was now at the intersection of three major highways. The 1936 Federal Marketing Atlas determined that Cadillac had become the trading center for 33 communities, that there were 188 industries within that trade center, and 39 of those industries were in Cadillac. In 60 short years Cadillac had grown from a handful of loggers to a thriving city of nearly 10,000. The incredible growth brought with it incredible change, almost continual construction and demand for more city services. Sewage disposal plants built around the turn of the century quickly became outdated and inadequate. New facilities were built and soon were inadequate as well and had to be updated or replaced several times. The school population grew almost every year and new schools had to be built. Emerson School, a one-story structure built in 1888, was raised a few years later and a "second story" built underneath the first story. Central High School was rebuilt several times and in 1911 rebuilt at a cost of $100,000. Elementary schools were built near newly-developed neighborhoods. Franklin School on the east side was built in 1909, Cooley School on the west side in 1924, Lincoln School on the north end in 1925, and McKinley School on the northwest side in 1946. Delos Diggins, an early pioneer and lumber baron died in 1907 and his wife donated $50,000 to build the new hospital. That same year $40,000 was raised to build a new YMCA. A Carnegie Library had been built the year before. City streets underwent constant improvement. Mitchell, Chapin, Cass, Harris, W. Mason, W. Pine, Beech, and Spruce Streets were all paved by 1906. The City declared in 1926 that "three-quarters of all roads within the city are paved." A new county courthouse was dedicated in 1913. Also, that year Cadillac was the first Michigan city to adopt the city manager form of government. A year later work on the new post office began. It was the second-largest Class II post office in the nation. With perhaps the exception of the Depression years, a housing shortage seemed to always exist. Several new homes were always under construction. In October 1905 it was reported that 100 new rental homes were built that month. In the early 1920's Mitchell Brothers Lumber commissioned Acme Truck Company to build a special, low-slung trailer of suitable size and strength on which to move a house. A total of 143 houses were moved from Jennings (the mills in Jennings were being downsized as the timber stands in that area became depleted) to Cadillac, a distance of ten miles. 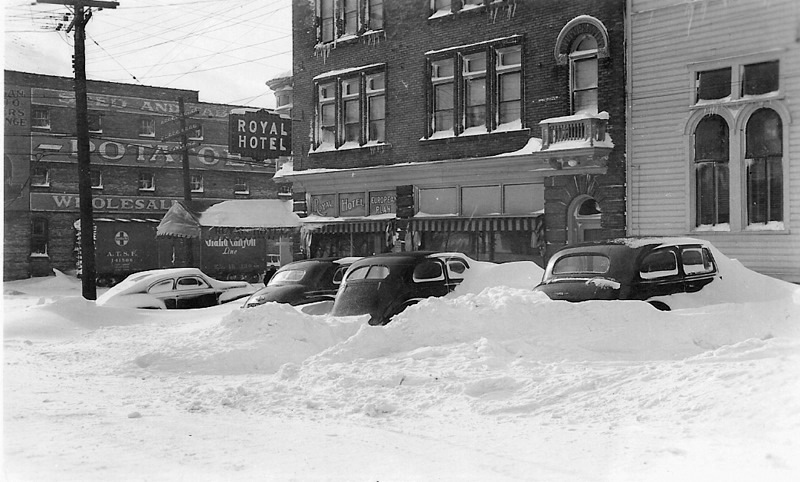 A 1943 snowstorm brought traffic to a standstill in Cadillac. The building in the foreground of this photo stood at the northeast corner of Mitchell and Harris Streets. The face of the business district changed too. Bernie Miller built northern Michigan's largest filling station on N. Mitchell Street in 1927. J.C. Penney came to town in 1925, Mongomery Ward in 1928, and H.L. Green in 1940. The Cadillac Evening News bought the former Cummer-Diggins Lumber Company office building in 1936 and the Michigan Department of Transportation bought the former Cobbs and Mitchell Lumber Company office building in 1938. In 1927 the old McKinnon Hotel was enlarged and completely remodeled inside and out and renamed Northwood Inn. The Peoples Savings Bank closed during the Depression and in 1941 George Kelly bought the building for his new restaurant. The City imposed a two-hour parking limit on Mitchell Street in 1937, widening Mitchell Street was proposed in 1940 and parking meters were installed in 1947. Perhaps the greatest symbol of change and the City's willingness to accept it came in 1934 when the horse trough that stood for years at the corner of Mitchell and Chapin Streets was converted into a flower box. Want to see what your neighborhood looked like in 1961? Click on the photo above to see side-by-side aerial photographs of Cadillac from 1961 and 2012! The Wexford County Historical Society & Museum is located at 127 Beech Street in downtown Cadillac.